Patient with double vision see two images of a single object either permanently or intermittent. Double vision is also known as Diplopia. The displacement may be horizontally, vertically or diagonally. The perception of two images can also be overlapping. The symptom of double vision is to take seriously, since some causes need urgent medical treatment. Since the reasons for double vision could be life-threatening, it is very important to consult a Specialist if the symptoms do not stop. There are three types of double vision: Binocular double vision, monocular double vision and physiological double vision. The eyes of patients with binocular double vision do not work together properly and the double vision will disappear if the patient covers one eye. Monocular double vision occurs when the double vision continues when the unaffected eye is covered. In physiological double vision background objects the patient does not focus on appear doubled. This vision problem often goes unnoticed because the patient’s brain can usually compensate for this type of double vision. As many different diseases could lead to the symptom of double vision it can be difficult to find out what the actual cause is. It is important to have a comprehensive examination to determine the cause of double vision. In fact, the condition may be a matter of life or death, such as a brain tumor or aneurysm. Some conditions causing double vision are difficult and sometimes impossible to fix. Some strokes and nerve palsies cause fluctuating double vision that can’t be measured accurately enough to correct. To diagnose double vision and to find out the reason for this symptom the Neurologist will use multiple methods such as blood tests, a comprehensive neurological exam, and possibly imaging studies like CT and MRI. The treatment depends on the findings. 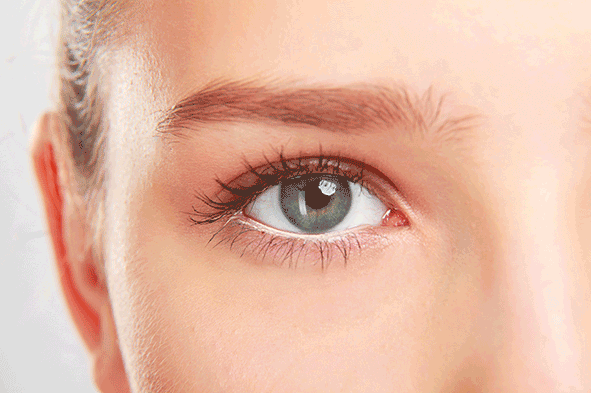 If weak eye muscles are the cause for double vision a surgery may help. If Myasthenia gravis or Diabetes is the reason medications will help.